Based upon the ingenious design of German engineer Felix Wankel, Freedom Motors has the exclusive rights for manufacturing the Rotapower® engine. With over 40 years of research in this technology, Freedom Motors can now produce engines without many of the disadvantages historically attributed to rotary engines. We here at Freedom Motors realize that the promise of this technology offers considerable advantages over traditional piston engines in many applications, and we welcome the opportunity to prove this to the world. 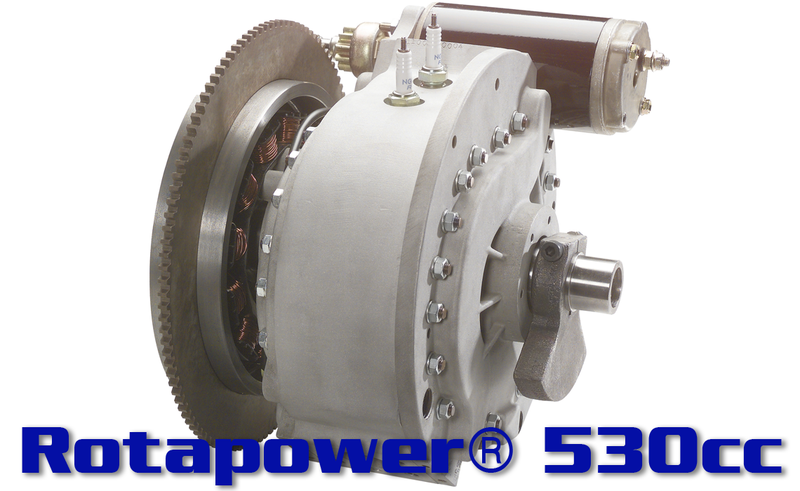 The Rotapower engine is ideal for converting contaminated biogas into electricity. It's resistance to hydrogen sulfide and siloxane reduces overall operational and maintenance costs in CHP systems. 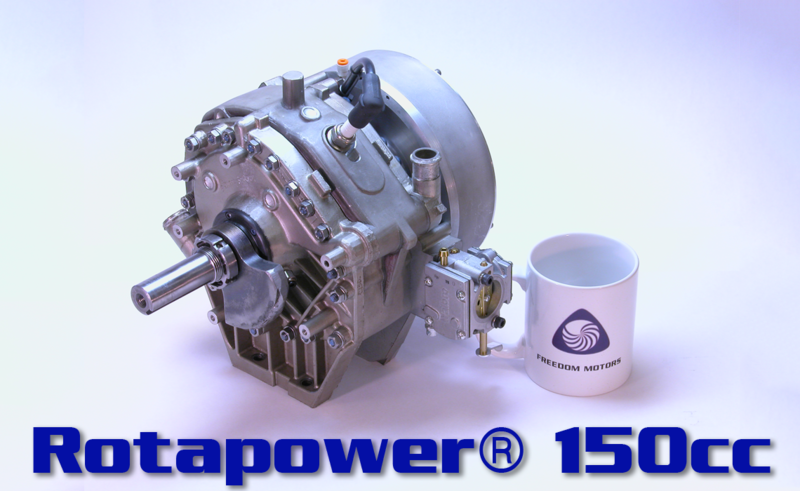 A Rotapower generator can provide dispatchable power for microgirds and renewable energy production. Using carbon neutral fuels, this is low cost and environmentally friendly alternative to industrial battery systems. Electric vehicle market penetration has been limited by range anxiety of consumers. A Rotapower range extender can overcome this barrier, and because of its small volume and high power density, it will not impact vehicle design constraints. 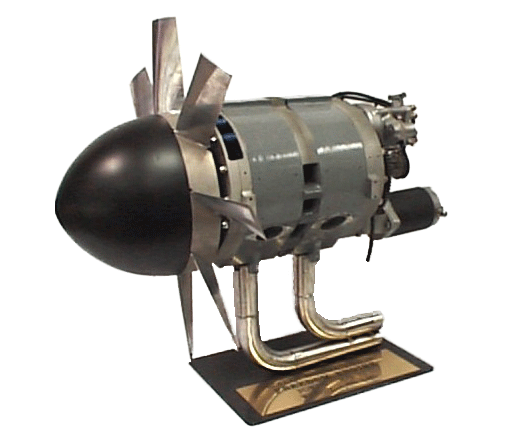 Small personal aircraft can benefit from the high power to weight ratio and small volume, providing far more longevity and safety compared with battery-based propulsion systems. 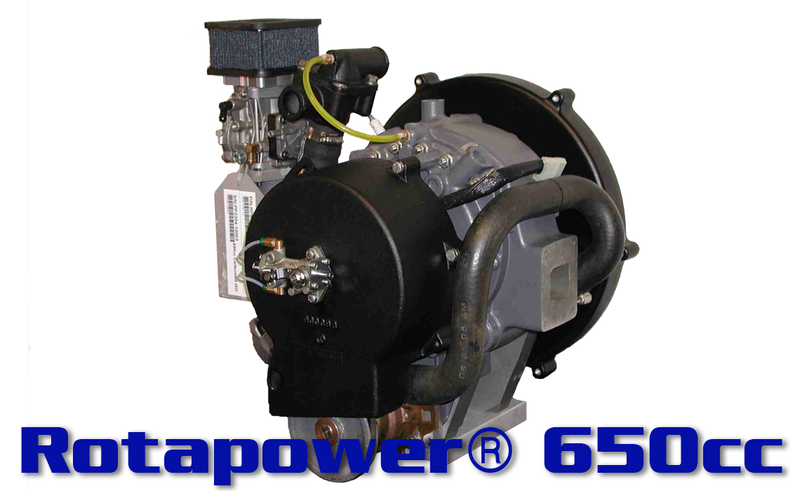 Improved emissions, small volume and high power make the Rotapower engine a excellent alternative powerplant for personal watercraft. 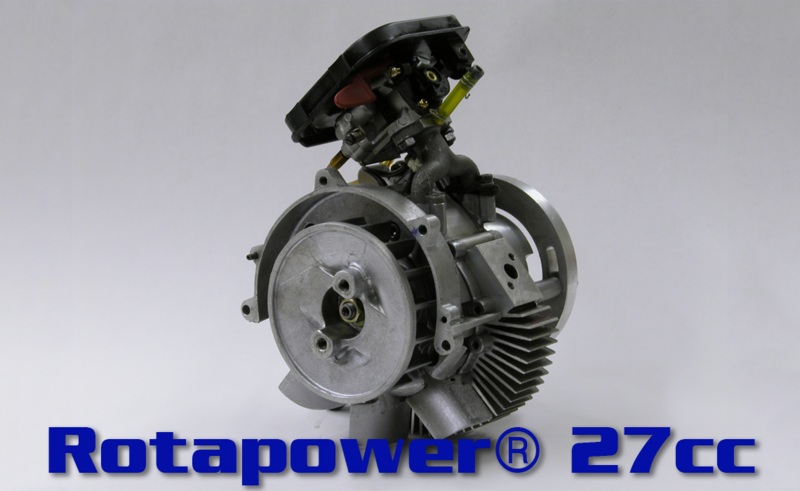 Small engines with low emissions and high performance over competing engines make the Rotapower a ideal powerplant for small 2-wheeled vehicles. Because of the Rotapower engine's small size and high power density, small portable generators become more practical for widespread use in rural communities worldwide.